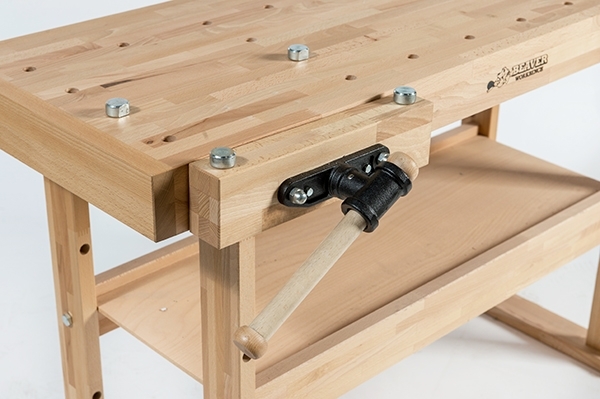 This European-made Hobby model Beaver Workbench is designed for woodworkers who need a strong bench but have limited workspace. Made of high quality European beech hardwood for high durability, the large top is 1 1/4″ thick, adding to its weight and enhancing stability. 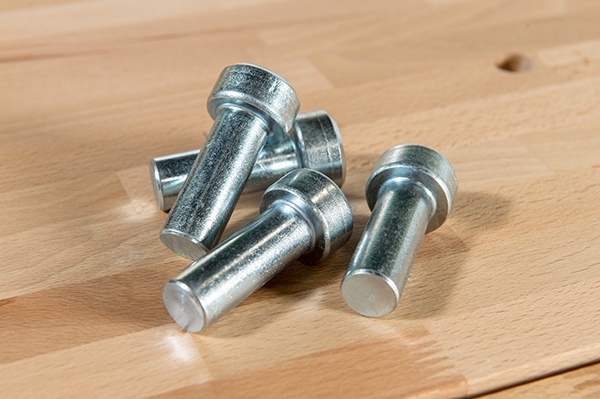 A 3.5” thick apron features two cast iron Acme screw vises with twin steel support bars. 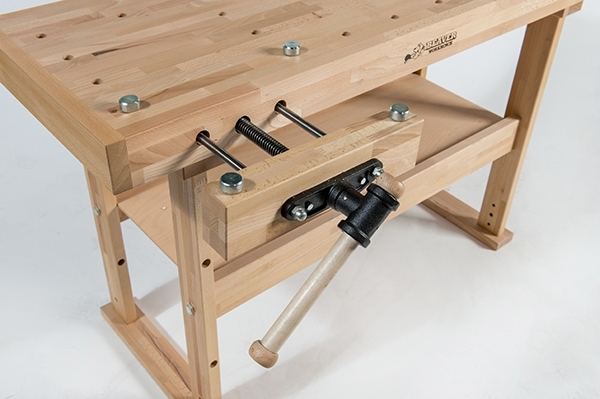 The wood jaws of the two vises are 14” wide for excellent stability in holding your workpiece. 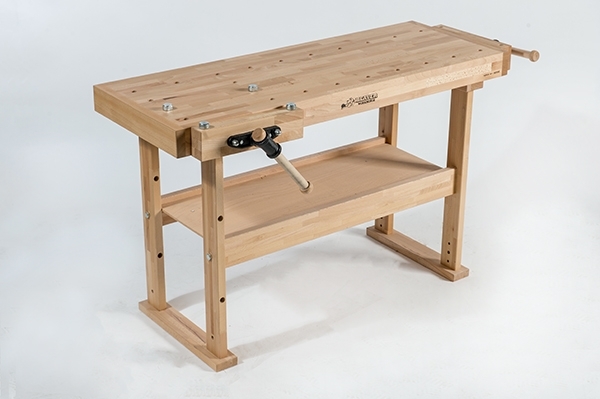 The 53” x 19” work area includes 26, ¾” bench dog holes and has a large tool shelf underneath. Four round steel dogs included. The vises add an extra 6.25” to the length and width of the top in the closed position.